Martha Lee "Marty" Hopkins Lanman Struever, the grande dame of the American Indian art world, died peacefully at age 85 on Saturday, Sep. 24, 2017. In 1970, Marty drove to the Southwest with her two sons and bought her first piece of American Indian pottery, a piece by Maria Martinez and her son, Popovi Da. This began a lifelong passion collecting and selling American Indian art. In 1976 she founded the Indian Tree Gallery to introduce notable Indian artists to metropolitan Chicago, particularly those from the American Southwest. In her first year she featured Maria Martinez of San Ildefonso Pueblo, who was then recognized and feted at the Art Institute of Chicago at the age of 94. She also brought famous Hopi jeweler, Charles Loloma, to the gallery sparking collaborations and a lifelong friendship that would span four decades. Marty focused on identifying promising young Native American artists and her assistance catalyzed their careers. This was the case with Gail Bird and Yazzie Johnson, Richard and Sharon Chavez, Dextra Quotskuyva and so many more. All of whom would become family to her over the years. In 1991 Marty moved the gallery to Santa Fe, New Mexico to be closer to the artists she represented. Here she expanded her highly regarded Native American Art field trips that brought collectors to the homes of the artists whose work they collected. Many trip participants returned numerous times over the four decades these expeditions were conducted, with Marty and Indian artists providing in depth educational talks. Marty's trips through the Navajo and Pueblo lands continued until last year. The impact Marty made on the people who crossed her path during her lifetime is a testament to the extraordinary woman she was. She was a teacher, a champion of Native people, a mother, a grandmother and a friend. She is missed beyond words. Thank you for being a part of her story. "Years ago, I took my first trip to the Southwest; it was then that my passion for American Indian art was born. Since opening my first Native Indian art gallery in Chicago more than four decades ago, I have focused on one primary goal – to bring the best Southwestern American Indian art to collectors everywhere. I'm now one of the longest-standing American Indian art dealers in the world, and I've developed both a keen eye for great design and a strong sense of scholarship. I've built lasting relationships with magnificent American Indian artists, and I've acquired some of their finest works. 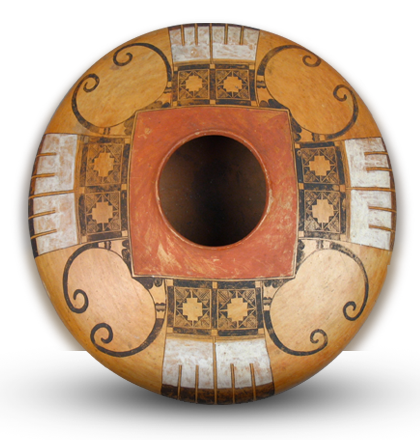 Operating from Santa Fe, New Mexico affords me close access to the center of the Native American art world, and now, with my online art gallery, I am able to bring the very best American Indian jewelry and pottery to a much wider audience."